In this blog for our ‘Evidence for Everyday Health Choices’ series, Sarah Chapman looks at the latest evidence on vitamin and mineral supplements for preventing dementia or at least slowing cognitive decline. Can they really help? I have a clear memory of watching a tv drama with my mum, when I was about fifteen. As we watched a vivid portrayal of a middle-aged woman struggling to cope with her mother, declining with dementia, Mum voiced a fervent hope that she would never be like that. With her own mother enjoying good health in her nineties, the possibility must have seemed as remote to her as middle age did to me. But now I am there, and so is my mum, diagnosed with Alzheimer’s last summer. Is there anything my bright, busy mother could have done to reduce her risk of dementia? This woman, who for much of her adult life had a fulfilling career and later voluntary work; was happily busy with friends and family; enjoyed theatre-going, singing in a choir and participating in various special interest groups; read voraciously and had a daily crossword habit. Is there? Despite the many important and positive inroads into our understanding of dementia in recent years, and an increasing shift in emphasis from dementia being something people suffer from to something they can live with, dementia frightens us. Katie Marais from Alzheimer’s Research UK says that “How can I prevent dementia?” is one of the most common questions put to them, and explains here what last year’s Lancet Commission on Dementia found about risk factors. While 65% of the risk for dementia comes from things we can’t change, like our age and our genes, the report lists nine ‘modifiable risk factors’ for dementia, things that we may be able to do something about, including smoking, lack of physical activity and social isolation. Preventing dementia: what do we try? There are many things that people do in the hope of staving off cognitive decline, from dietary modifications to daily sudoku solving. I think we may travel more in hope than expectation, but sometimes we can find evidence to see if our efforts might actually reduce our risk, and whether we could be doing ourselves any harm by trying. Two Cochrane Reviews bring together the best available evidence on the safety and effectiveness of vitamin and mineral supplements for maintaining cognitive function and preventing dementia. In theory, these could help, as vitamins and minerals have many functions in our central nervous systems which may help keep the brain healthy and our minds working well. But is there robust evidence to inform our choices? Let’s see. Preventing dementia: what do we know about the benefits and harms of taking vitamin and mineral supplements? 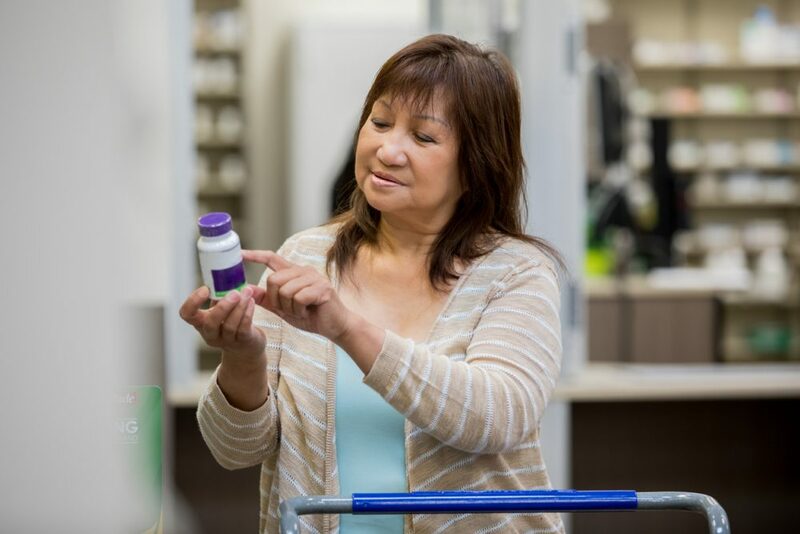 This new Cochrane Review concerns the effects of vitamin and mineral supplements on cognitive function in people with no cognitive problems when they started taking part in the research studies. 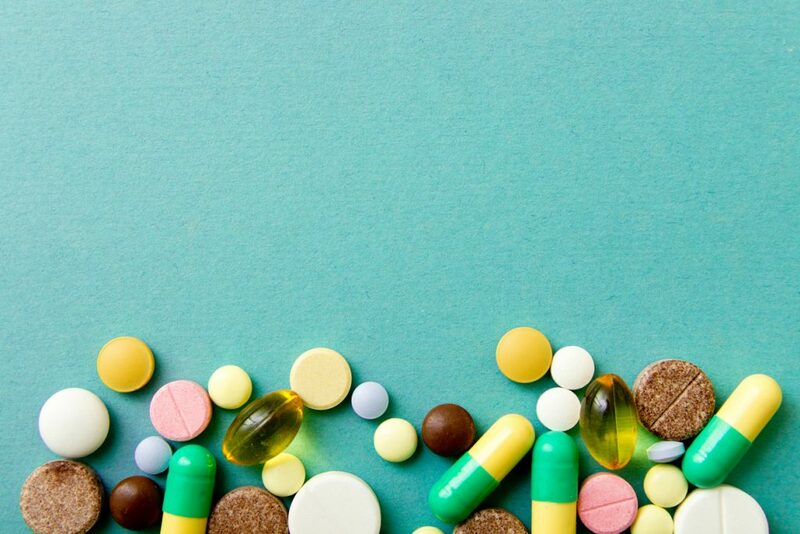 Although the review authors looked for studies involving people aged 40 and over, there are few data on people taking supplements under the age of 60. Despite being able to include 28 studies involving more than 83,000 people, there are limitations of the evidence which mean that confident conclusions can’t be drawn. Here’s what they found. Taking B vitamin supplements probably has little or no effect on overall cognitive function at any time point up to five years and may have no effect at five to ten years. There are very few data on harms or on the incidence of cognitive impairment or dementia. The results are mixed, but the review authors say that long-term supplementation with antioxidant vitamins may be the most promising area for future research. There is low-certainty evidence of benefit in overall cognitive function with long-term supplementation with ß‐carotene (after a mean of 18 years of treatment) and with vitamin C (after 5 to 10 years), but an antioxidant vitamin combination or vitamin E, alone or with selenium, may have no effect. Selenium alone, taken for around five years, may have no effect on the incidence of dementia. Moderate-certainty evidence suggests that this has little or no effect on overall cognitive function, or the incidence of cognitive impairment, after five to ten years. Combinations of B vitamins, antioxidant vitamins, and minerals may have little or no effect on cognitive function, after around 8.5 years of taking them. An older Cochrane Review looks at the effect of omega-3 fatty acid supplementation (in gel capsules or margarine) compared with placebo (olive oil capsules or omega-free margarine) in cognitively healthy older people. 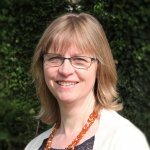 There is no direct evidence of the effect of omega-3 supplements on the number of people being diagnosed with dementia, while three high quality randomised trials show no benefit for cognitive function, measured by the Mini Mental State Examination (MMSE) score at 24 or 40 months. Some people taking omega-3 supplements experienced mild gastrointestinal problems. The authors of this Cochrane Review on the effects of vitamin and mineral supplementation on cognitive function in people with mild cognitive impairment (MCI) have found that the evidence is very limited. Only B vitamins have been assessed in more than one clinical trial. Taking B vitamins for six months to two years probably results in little or no difference in memory, thinking skills or quality of life, and the evidence doesn’t tell us whether or not there are any harms from taking them. So many things that we try in the hope of maintaining our health are costly in terms of money, time, effort and the hopes we pin on them. Preventive strategies, like taking dietary supplements, are often pushed hard by those with a commercial interest in their uptake. Whether it is NHS budgets or individuals’ purses that take the financial hit, knowing whether there is evidence to guide these choices, and what that evidence tells us, is so important. These Cochrane Reviews show us what the state of the evidence is to date and when more evidence becomes available it can be assessed for inclusion in an update of the reviews. Meanwhile, we are anticipating three new Cochrane Reviews on another popular preventive strategy, computerised cognitive training or ‘brain training’, which we’ll be blogging about here. Join in the conversation on Twitter with @SarahChapman30 @CochraneUK @CochraneDCIG or leave a comment on the blog. References may be found here. Sarah Chapman has nothing to disclose. The conclusion you quote from the Cochrane review on vitamins and Mild Cognitive Impairment said “…it is not possible to identify any supplements which can reduce the risk of people with MCI developing dementia or which can effectively treat their symptoms.” The first part of the statement is correct but, as the authors say, that is because there have been few, if any, trials to test this question. Such trials are urgently needed and would cost a great deal less than the many failed drug trials that have been reported. One reason why such trials are needed is because there is already evidence to contradict the second part of the Cochrane conclusion, i.e. that there are no supplements which can treat the symptoms of MCI. The VITACOG trial (summarised in Smith & Refsum, 2017) clearly demonstrated that high-dose B vitamins can slow memory decline and improve clinical status in people with MCI who have high baseline plasma homocysteine levels and a good status in omega-3 fatty acids. VITACOG also found that the B vitamins markedly protect those regions of the brain that shrink in people who develop Alzheimer’s disease, leading to the conclusion that, in those with high homocysteine, the B vitamins have a disease-modifying effect in MCI (Douaud et al. 2013). It is crucial that new trials are done to see if B vitamin supplements, combined with omega-3 fatty acids, will slow, or prevent, conversion to dementia in MCI (Smith et al. 2018). See also my Comment on the Cochrane web site for the review (Smith, 2019). Douaud, G., H. Refsum, C. A. de Jager, R. Jacoby, T. E. Nichols, S. M. Smith and A. D. Smith (2013). Preventing Alzheimer’s disease-related gray matter atrophy by B-vitamin treatment. Proc Natl Acad Sci U S A 110: 9523-9528. Smith, A. D. and H. Refsum (2017). Dementia prevention by disease-modification through nutrition. J Prev Alz Dis 4: 138-139. Smith, A. D., H. Refsum, T. Bottiglieri, M. Fenech, B. Hooshmand, A. McCaddon, J. W. Miller, I. H. Rosenberg and R. Obeid (2018). Homocysteine and dementia: An international consensus statement. J Alzheimers Dis 62: 561-570. Thank you for your comments and for including a link to the comments section of the review in question, where readers of this blog can see the helpful exchange between you and lead author Jenny McCleery and colleagues.